Taste test: These taste pretty much the same as Wise Potato Chips. Trivia: These are made by Wise and packaged for sale at Disney World, so it's not surprising that they taste the same as Wise chips. 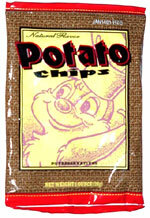 I don't off-hand know the difference between Chip and Dale, but I'm guessing that's Chip pictured on the front of the bag. 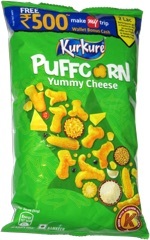 This snack was discovered by Jeremy at Epcot Center, Orlando, Florida.